The Coleraine congregation mourned the passing away of Mr Harry McDermott on Saturday 22nd March 2014. Brother Harry had been a faithful elder in our church for many years and was also a foundation member. His testimony amongst us was a great blessing and challenge and we will miss dearly his warmth of fellowship, wisdom, spiritual insight, friendship and sense of humour. It is not often that you have the privilege of meeting someone who has had an unblemished testimony for such a long period of time. People within our church as well as outside of it have passed comment that Mr McDermott was ‘the perfect gentleman’, a statement we can all sincerely endorse. Only eternity will reveal the worth of Harry’s prayers and labours for the Saviour he loved so much, and we take great comfort from the scripture that assures us ‘blessed are the dead who die in the Lord from henceforth…that they may rest from their labours: and their works do follow them’ (Revelation 14.13). While we mourn, we also rejoice as we know God’s servant is absent from the body and present with the Lord. 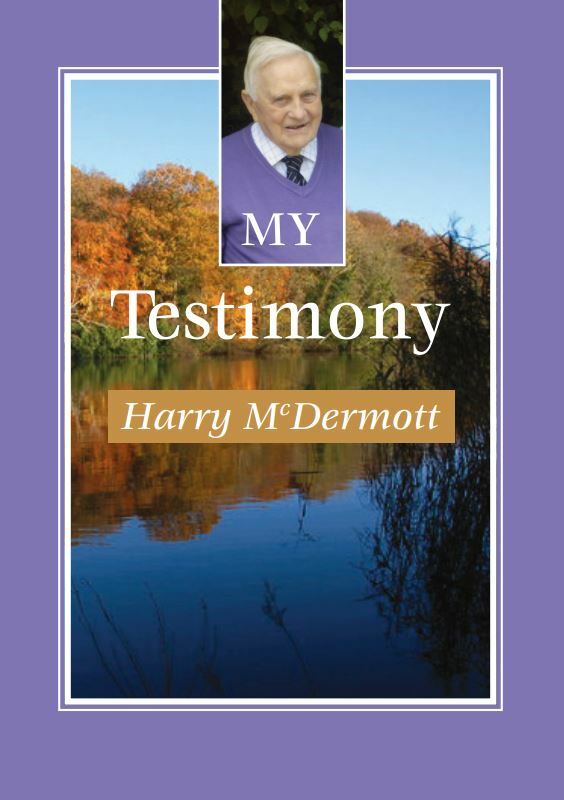 Before he passed away and despite his illness Harry spent time in writing a short account of his testimony. Irene, Harry’s devoted wife of some 43 years then set about the task of getting it published. The booklet simply entitled “My Testimony” is available to download by clicking on the image below. A few copies of the book are also available in print format and may be obtained by contacting us through the contact form on this site. May God be pleased to still use the example Harry left behind to spur us all on to a deeper commitment to the Saviour and His work.